But while celebrity marketing may work well for a few large brands it doesn’t scale well to the mass market. There are only so many celebrities to go around, and they usually charge enormous sums of money, out of the reach of many, if not most, businesses. A further problem with celebrity marketing is that there is often no genuine connection between the celebrity and the product they're endorsing. Why should a consumer trust a celebrity's word on a product if he or she clearly doesn’t use it him or herself? This last problem is partially solved for brands by working with macro-influencers. Macro influencers are the stars of their field. They have between 10,000 to a million followers, and focus on a particular niche. Many of your professional bloggers and well-known critics can be considered to be macro-influencers. They are not quite celebrities, but they are well known by those who are interested in their topic of expertise. Most of the influencers profiled in our recent article on 15 Fashion Influencers to Follow are probably macro-influencers. They don’t count as celebrities, but they are certainly recognized by followers of fashion. This means that they are busy people, who can afford to be picky in choosing what products to endorse, and who can get away with charging quite large sums for their endorsement. For many firms, macro-influencers are as far out of their realistic range as well-known celebrities are. Which means that most firms who wish to engage in influencer marketing need to work with micro-influencers. These people frequently have between 2,000 and 100,000 followers, depending on their niche and main social media channel. They may have considerably fewer supporters than celebrities or macro-influencers, but their followers are often fervent in their support. Although micro-influencers may not have as many followers as the superstars, they usually have a very active relationship with their followers. They benefit from being small enough to still be able to keep things relatively personal. They often work in highly active and vocal niche groups, who regularly respond to posts on social media or blogs. 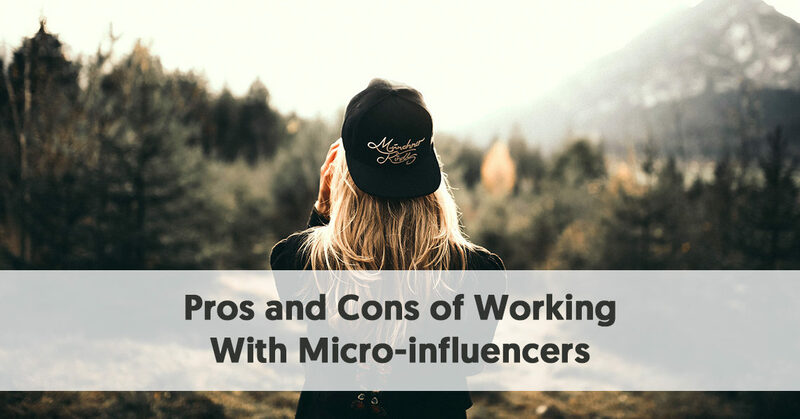 These supporters are often very interested in what the micro-influencer has to say, and they take recommendations seriously. Micro-influencers build up huge trust with their audiences. With most micro-influencers being relatively ordinary people, who participate on social media or write blog posts as a hobby alongside a regular job, firms can generally work with them for a substantially lower cost than they can with the celebrities or macro-influencers. In some cases, brands simply work with a micro-influencer for the cost of some free samples. Also, some of the influencer marketing platforms, such as BrandBacker, provide a market for relatively low-cost campaigns. 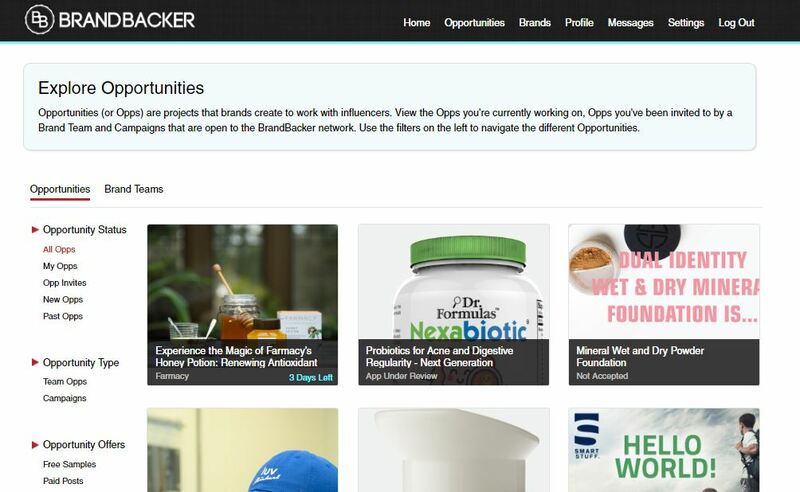 In BrandBacker’s case, they have a database of 20,000 micro-influencers who have signed up to the platform. Brands come up with a proposal to influencers, e.g. 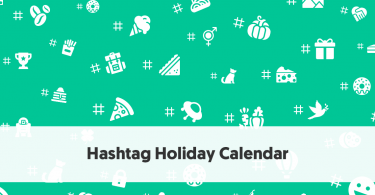 free product, discounts, early access to something, or an amount of payment, maybe as little as $20-$30 per post. Those influencers who want to be part of a campaign apply and the brand selects who they want to work with. 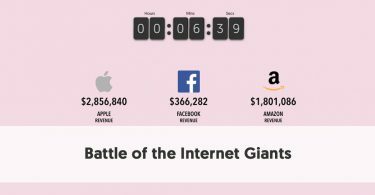 While a company has to pay a subscription fee to be a member of BrandBacker and similar types of platforms, the overall cost is still substantially cheaper than paying celebrities or macro-influencers huge fees. Because of the comparatively low cost of micro-influencers, brands are often able to work with quite a few of them, spreading the web to a larger selection of followers. One of the key features of micro-influencers is that they are recognized by their supporters for their knowledge and influence in some particular niche. These niches cover a huge variety of topics - from origami to motor racing to home renovation. The number of niches where there are micro-influencers is probably as wide as the number of niches in which businesses operate. This means that firms should be able to find a micro-influencer who can help them no matter what they sell. Brands who work with micro-influencers have the opportunity to specifically target their audience. They can relatively easily pick an influencer whose followers match a particular combination of gender, age, average income, social status, and interests. The advantage with working with micro-influencers is that they are very much just like their supporters - that is usually what makes them so popular in the first place. If a micro-influencer genuinely likes a brand then the odds are high that their fanbase will be just as interested in the product being promoted. The problem with celebrity and macro-influencer endorsements is that they never feel all that authentic, mainly because those people always seem to be a distance apart from their supporters. If you interact regularly with a micro-influencer who enjoys the same interests as you, you can empathize with their pain, feel their happiness, and understand them. You believe that they, in turn, can understand you and your problems. You trust them far more than more distant people with millions of followers who you couldn’t imagine ever meeting in real life. Of course, there is a Catch 22 here. If an influencer takes payment for a clearly identified #Sponsored post there is a danger that they lose that feeling of authenticity. The best influencer marketing often comes when a micro-influencer truly likes a product and are perfectly happy to receive it for free, rather than being paid a cash amount. The influencer platforms and networks offer brands powerful tools for finding and working with micro-influencers. 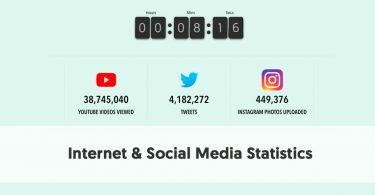 There are many platforms now available - in 25 Top Influencer Marketing Platforms to Boost your Campaigns we really only scratched the surface. They provide an interface between the brands and the influencers. While the platforms offer different combinations of features, they usually have powerful search engines available to make influencer selection easier. They often also help with influencer management, in some cases working just like an employment marketplace. A number of influencer marketing agencies have also sprung up that offer similar services to the platforms, often along with more assistance with the content. If somebody sees a recommendation from a micro-influencer they follow for some particular product, and they feel it could benefit them, they are likely to enter the company's sales funnel as a reasonably committed lead. The business knows that leads received via their micro-influencer promotions are further down the process of purchasing the good than leads collected from many other sources. This is probably more relevant for micro-influencers who blog, rather than those who just operate on social media, but the links that they create will help a brand’s website's SEO. If you receive a link from the website of an influencer who is in the same niche as your business, Google will recognize it as being a genuine link and give it “SEO-juice”. Alas, links from social media have less weighting, although if many people follow the links then Google will accept their validity and your site will benefit from them too. Receive exclusive content that you won’t find anywhere else other than our monthly subscriber mails. Not only that, but you’ll be the first to access our new content, tools and offers. By definition, the reach of a micro-influencer is considerably smaller than that of a celebrity or macro-influencer. If we use 100,000 followers as an approximate upper reach to be considered a micro-influencer, that is a long way from the sort of reach that higher level influencers enjoy. The Number 1 influencer on our Fashion Influencers list is Zoella Zeebo, who has 11.1 million Instagram followers, 2.6 million Facebook followers and 11.8 following her on YouTube. Even the 15th person on our fashion follower list, Aimee Song, enjoys 4.7 million followers on Instagram, and 889,000 on Facebook. A brand that wants to see its message spread wide will need to work with considerably more micro-influencers, particularly when you allow for overlapping support between their influencers. The micro-influencer may have a greater engagement rate with his or her supporters, but in terms of actual volumes of engagement, the macro-influencer or celebrity may still outnumber him or her. How much this matters probably depends on how big a niche is. Fashion is a big field, so it is no surprise that it has macro-influencers with huge support bases. Smaller niches won’t have this. If your brand sells luxury cheeses, for instance, you are part of the overall food sector, which has prominent bloggers and social media personalities. However there will undoubtedly be micro-influencers who simply talk to interested followers about the benefits of brie versus camembert, and whether feta is best when made out of goat’s milk. These cheese influencers will have fewer followers than the large foodie bloggers, but probably have a more dedicated audience who will try out any types of cheese the micro-influencer recommends. Because of their smaller following an individual micro-influencer has less ability to create brand awareness than a larger influencer has. When a brand partners with a macro-influencer they can change the perception of a large number of people in relation to the brand. Brands know that if they are promoted by somebody with a huge influence in an industry then it can greatly change public perception of them. This is similar to how companies pay to become sponsors of particular television programs. If a lot of people see that you are connected with something they admire, it rubs off on you. Food manufacturers, for instance, love to see their products being used by Jamie Oliver or Gordon Ramsey. Micro-influencers have less opportunity to create this brand awareness. They are just too small to have that effect on public perception. While most micro-influencers have a greater engagement rate than those with truly huge followings, that will not be the case for everybody. Some people look promising on the surface, but this is because they have used dodgy methods in the hope of conning some brand to pay them. A micro-influencer may appear to have a good following, but if their engagement rates don’t match this might be a sign that the person has simply bought fake followers. Bought followers are of no value - they probably don’t ever see posts made by this person, and certainly aren’t influenced by any recommendations he or she makes. It is vital that brands don’t rely on the number of followers alone in their search for influencers. The really important statistics are those that measure engagement - basically, the total number of likes, shares, and comments on a post. Of course, the reality is that some niches engender more engagement than others - some types of people are naturally more chatty than others on social media. There are sectors of the population, such as teachers wanting to avoid social contact with their students, who have been slower to embrace social media. Alas, there is no free equivalent of the Yellow Pages that lists influencers by niche. It can take up a considerable amount of a firm’s resources to find suitable micro-influencers. Of course, if somebody in the firm is already passionately interested in the niche they may already know, and have pre-existing connections with, suitable micro-influencers. The amount of effort here is strongly connected to budget. A firm that is prepared to work with an agency or platform will have access to databases of influencers and powerful search engines. There are also tools you can use to help you with manual research, however, which we have previously covered in How To Identify Influencers in Social Media. Obviously, the more people that a firm has to work with, the more effort it takes them. The work involved with working with 10 micro-influencers is probably more than ten times the effort involved in working with one macro-influencer. The more micro-influencers that a brand chooses to work with the more work they have to do in influencer-selection and then management, particularly in terms of content and payment. The influencer platforms and agencies help with this process if a firm chooses to use them. Of course, this is a necessary trade-off for many brands. This is particularly so for a firm with a small, or zero, budget, that has to undertake all the work of finding influencers and building up relationships with them in-house.s is particularly so for a firm with a small, or zero, budget, that has to undertake all the work of finding influencers and building up relationships with them in-house.